DVD Ripper for Mac also helps transfer DVD movies to various devices like iPod, iPhone, Apple TV, PSP, Blackberry or 3G Phone, almost all different display resolutions are supported like 1080p. 720p, 1920x1080, 1280x720, 680x480 and more. The DVD movie editing features enables you to trim, crop, rotate and merge video files. iOrgsoft DVD Ripper for Mac is your best choice to rip DVD to AVI (DivX, XviD, Raw avi), DV (PAL-DV,NTSC-DV), MOV, MPEG-1, 2, 4, WMV, H.264, FLV, MKV, TS and import DVD to iMovie, Final Cut on Mac with original setting and best quality. DVD Copy for Mac is one of the best DVD copy software with DVD copy, DVD backup and DVD burning software for Mac combined. With Mac DVD Copy, Mac users can copy commercially-encrypted or homemade DVDs (D5 & D9 supported) straight to blank DVD discs or save as DVD folder (like video_ts File or ISO Image) on Mac while maintaining original high quality. This Mac DVD copying software allows you to output DVD folder/DVD media file to be directly played on Apple DVD player and burn DVD movies directly to new DVD disks by removing protections (like CSS, RC and RCE). As a powerful Mac DVD copy program with DVD backup and Mac DVD burner integrated, it enables you to share and convert DVD movies with no limitation and provides you a faster and easier way to make copy of DVD movies as it speeds up the full copy burning time twice as before. Video Converter for Mac is an all-inclusive clean and quick video converter designed for Mac users to easily convert videos, movies and TV shows straight to iPad, iPod (including iPod touch 4), iPhone (including iPhone 4) and other devices. It can convert videos among diverse formats including MOV, MP4, AVI, WMV, MPG, FLV, MKV, VOB, etc. And fully supports camcorder video formats like AVCHD (MTS/M2TS), AVCHD Lite, MOD/TOD, etc. This Best Mac Video Converter software is perfectly compatible with Mac OS X Leopard and Snow Leopard and can be used on both Mac Intel and Mac Power PC. With iPod Video converter for Mac, you’re now allowed to convert all popular video formats to iPod on Mac OS, such as converting AVI, MPEG, WMV, FLV, MP4, 3GP, 3G2, TS/TP (for HD Video), etc. to iPod MP4 or MOV format. Mac iPod Video Converter is also a best audio converter for Mac as it can convert popular audio files to iPod MP3, M4A, etc. Besides, the iPod Converter for Mac provide you many powerful features that enable you freely edit and trim video and audio files, like clipping a segment, or customizing video effect, or add a watermark to protect your copyright. You get the great freedom to make stylish works. Watching DVD movies on iPod is a great thing and it's much easier to carry around than a laptop or portable DVD player.The problem is that commercial DVDs are encrypted and have region coding system, nor DVD movies can directly transfer to iPod. iPod just supports H.264, MPEG-4(.MP4) and has rigid file size/resolution requirements. DVD to iPod Converter for Mac can remove all the limitations on DVDs and make them region-free.It can convert DVD videos to a format suitable for playback on your iPod with a few mouse clicks. 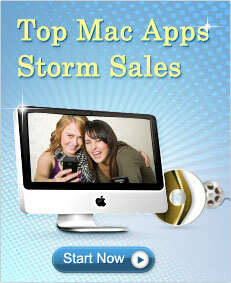 DVD to iPod Mac Converter can support all DVDs including commercial and home DVDs. Free iphone video converter download NOW! DVD has gained increasing popularity since its access to the market. But, DVD, either commercial DVD or home DVD has one drawback, that is inflexibility, you usually have to enjoy DVD in a fixed location. But what about enjoy it anytime and anytime when you want, such as enjoy it on some portable devices like iPhone. DVD to iPhone converter for Mac comes to the rescue, it is a professional and powerful software that suitable for both commercial DVD and home DVD that allows you to rip DVD movies even with copy protection like region restriction and encryption. With DVD to iPad Converter for Mac, you can stay away from a cluster of DVD discs while enjoy the stunning DVD movie experience on your multi-screen iPad now as this DVD to iPad Converter can rip and convert encrypted or homemade DVDs straight to iPad videos. Apart from converting DVD to iPad videos, Mac DVD to iPad Converter allows you to rip DVD audio to iPad MP3, AAC and M4A audios. Ad this DVD to iPad converter is armed with optimized presets, by which you can make the best of your iPad. SyncPod for Mac gives you the convenience in transferring movies, TV shows, self-made videos, music, and photos from iPod,iPad or iPhone to Mac/iTunes with a few clicks, as simple as drag & drop. SyncPod for Mac is also an excellent iTunes mate and music rescuer that helps you transfer and manage music, movies, TV shows and photos from your Apple devices to iTunes easily and rapidly, and vice versa. SyncPod for Mac gives you an easy way to sync your media from your Mac/iTunes to your iPhone, iPad or iPod. When PDF converter for Mac comes to the market, we amaze how versatile and powerful it is. This all-in-one PDF conversion software can convert PDF into Word, Excel, PowerPoint, EPUB, Text and HTML. Mac PDF converter gives Mac users the great capability to make the work easier and more perfect. For example, by converting PDF to MS Word, Mac users can flexibly edit or reuse read-only PDF files, or present PDF contents to the public; by converting PDF to MS Excel, users can extract PDF tables and data to Excel spreadsheet for easier calculating and editing; by converting PDF to EPUB, users can put eBook to popular mobile devices, such as iPad, iPhone, Sony Reader and more; by converting PDF to HTML, users can share PDF contents on internet easily. It also provides a series of useful settings for users to modify and share PDF conveniently and easily. Get the experience that you have to discard the uncompatible PDF version of a favorite novel on you iPod or iPhone? With PDF to Epbud for Mac, you don't need to do that painful choice. As Mac PDF to EPUB Converter is designed to convert PDF eBooks to EPUB format on Mac OS X while maintaining high quality. And with the Mac PDF to EPUB, Mac users can transfer EPUB eBooks to iPod Touch, iPad, iPhone, etc. for convenient and fantastic reading. With practical presets option on EPUB eBooks output, you can customize the output settings as you like. Now you can conveniently read your favorite novels on your ipod or iphone anytime anywhere. Ringtone Maker for Mac allows you to free make your own ringtones from any audio or video and send them to your iPhone. It supports virtually every audio format such as MP3, WMA, WAV, M4A, AC3, etc. and video formats including MP4, MPG, MPEG, VOB, AVI and more. What's more, with a built-in recorder and Groove Box, this smart Mac iPhone Ringtone Maker will bring you an unexpected fantastic ringtone experience. Just show the world your music talent with this cool iPhone ringtones maker right now! Alifesoft iTube Studio for Mac helps you download videos (HD videos supported) from YouTube, FaceBook, TNT, BREAK, Google Video, and many other video-sharing sites opened in Safari. Convert the downloaded videos or FLV videos on your hard drive to use with iPhone, iPod, iPad, PSP and mobile phones; or to any video and audio format of your choice. Built-in Mac FLV player enables you to view the downloaded videos conveniently.